"A great way to organize the calendar, but expensive upgrades"
Sign in to G2 to see what your connections have to say about FileMaker, Inc. The FileMaker Platform is simply powerful software for creating custom apps that work seamlessly across iPad, iPhone, Windows, Mac, and the web. Rapidly deploy custom apps. You can make your customized software quickly. Is the easier tool you can use for your own business. Layout interface very clean and user friendly. The multi-portability platform permits to access by every devices. The price. I think FileMaker is very expensive. I don't think to upgrade every year is too much. I would like to go again to the FileMaker DevCon but it is very expensive. FileMaker is a very useful tool to manage your own business. I created an ERP data base and user-friendly layout to insert datas or consult reports real time. I solved administration problem and manage work flow. What Workplace Innovation Platforms solution do you use? I am using FileMaker Pro since 1991 and since then I have not found a single app that would help me and my business build tools to support our unique processes more efficiently. Whenever we need to support a collaborative process or manage data that can't fit on one screen in efficient semi-automated way, FileMaker is our choice #1. Use the right tool for the right job. If you're looking for a platform that will let you create (or get created) custom apps to support your always changing processes, instead of changing your processes to fit the apps you use, this is without doubt one of the most efficient platforms. I have not touched a more efficient one yet. We use it for all kinds of process management and data analysis tasks. The biggest benefit is that we can keep adjusting the software as we adjust our processes and the time from decision to implementation can be as short as days, sometimes even hours, but only rarely more than a few weeks. "best Tool to support your processes"
Easy to use, powerful, no restrictions, easy for developers, easy for users. Great platform with great developers worldwide. Very fast in developing because it´s all in one tool: Database, coding (scripting) and layouting. You can use the database you created for desktop instantly on iOs Devices in its whole functionality. One Platform for Mac, Windows, iOs and Web (also on Android devices). Filemaker is the perfect tool to support mobile processes, because of it´s crossplatform compatibility. You can embed all kind of media, like movies, sound and pics, these could be stored directly in the database, in your accessible Filesystem or not accessible Filesystem. If you have a lot of users worldwide, you can access any filemaker database via webbrowser to reduce the necessary support of your it-department. Filemaker ist great for data exchange, you can access data via odbc (sql, oracle, even old stuff like MS Access;-)), you can import, all common formats like txt, csv, mer, xlsx, xml, .... and you can use REST APIS. Automatic Syncprocesses between different Workplaces would be great, more animation options would be great. Scaling whole Layouts (expanding with screens) works, but could be easier. No App for Android, but still you can use a browser on Android devices to access a filemaker server. Try it, you will safe a lot of money on even more time! "An innovation platform that adapts and scales like no other!" The FileMaker platform is deceptively powerful. It provides users with a "progressive revelation" experience that makes some basic operations relatively easy, yet it's surprisingly mature and extensible, with a host of powerful capabilities for those who choose to go deeper. Just as important, FileMaker is chameleon-like in its flexibility, allowing a variety of approaches and solutions to any given problem - at times surprising even seasoned developers with its ability to produce novel, inspired and/or elegant applications that solve real-world problems. In addition, I appreciate that FileMaker provides a rich and open ended set of design tools for both interface and functionality, allowing integration with a wide variety of other environments and standards (SQL, JSON, REST, PHP etc). That makes it both a development platform in itself, and simultaneously a capable of serving as middleware - or a combination. If there is a problem with FileMaker it is that many users and developers assume that methods they have seen, learned or stumbled on are the only way or the best way to solve a given problem. That can lead to some users wrongly attributing limitations to the platform, when in fact the issue is with a particular approach or implementation. The FileMaker platform can provide a total business solution, or can interface with other applications and systems, so if you're not using it at some level, you probably should be. We're using FileMaker for research, prototyping, data-driven web applications and a range of business management requirements (project management, scheduling, financials etc). Having data right across the business managed within a single flexible platform makes many things much easier and gives us control over our internal processes. FileMaker is cross-platform and allows fast development of powerful shared databases. FileMaker is a great option when 'off-the-shelf' software doesn't fully meet your business needs. Development is relatively easy, however training and/or hiring a professional developer is a good idea. You can get started with a free month long trial, after that you will need to pay for a license. The licensing structure could be simpler, you may need FileMaker to assist with licensing. FileMaker suits small to medium teams, if you need an enterprise solution you may be better with an alternative. If planning to use FileMaker get proper training and/or a∂vice from a professional developer. The great thing about FileMaker Pro Advanced is that you can set up everything with the one package and within one file. Allowing shared access is easy, for very small teams share from your own copy, for more users share using the FileMaker Server software. The solution you develop can automatically handle data validation, reporting, import/export with a graphical user interface. You can develop on Mac or Windows and access the database from Mac/Win/iOS/Web. "Solving problems for 30+ years"
I started using FileMaker in 1986. Even with the limitations of that early version (like having to swap floppy disks on a Mac Plus), FileMaker transformed the way I thought about data. FileMaker's track record spans decades and that speaks volumes about its value and utility. Today's FileMaker, while still being true to its roots of simple and intuitive database management, has grown to be a formidable platform for collecting, analyzing, and sharing information. Adoption of modern standards like HTML5, REST, JSON, and OAuth allow us to deploy solutions quickly and integrate with practically anything. While the FileMaker platform provides a remarkably consistent experience, there are some gaps and inconsistencies in features between the two server options (FileMaker Server and FileMaker Cloud) as well as between the clients (FileMaker Pro Advanced, FileMaker Go, and FileMaker WebDirect). This can sometimes require extra effort or workarounds to ensure everything functions as users expect. Getting started is easy and you can go a long way with free resources if you're willing to invest a bit of time learning the fundamentals. The FileMaker developer community is incredibly supportive of people new to the platform as well as those with advanced questions. Professional developers are available around the world if you need help taking things to the next level quickly. I've been involved in creating many hundreds of custom solutions in a wide variety of industries. Some types of systems include CRM, document management, workflow automation, business intelligence and dashboarding, loan management, medical research, asset tracking, inventory management, point-of-sale, hospitality, and more. Many clients I've worked with have said that the FileMaker-based solutions we've built have been the key to their success. "FileMaker Isn’t Just for Small Apps"
We are a small team of software developers who have developed an ERP package in FileMaker that competes extremely well with our billion-dollar competitors. We are constantly receiving accolades from prospective customers that our solution looks better, functions better, and generally outperforms much more expensive alternatives. This is in large part due to the FileMaker platform itself. We are able to make changes to the software in minutes that would take hours or days in other environments. This ability - to rapidly address user requests - compounds over time, ultimately leading to a far superior solution designed based on real users’ feedback. We wish performance over the WAN were better. It is true that FileMaker offers Web Direct and FileMaker Go for web-based and iOS apps, respectively, but (for us) these require developing something separate that could be rendered unnecessary with faster WAN performance. The performance isn’t bad and it is improving with time, but we would like to see it be a higher priority for FileMaker, Inc.
Our product is a quote-to-cash solution, encompassing all aspects of a business’ daily transactions. This includes everything from managing sales leads to fully integrated accounting, payment processing, sales tax automation, inventory and procurement, production, scheduling, and so on. It solves countless problems for thousands of users each and every day.
" A great software to manage our continuous development!" We have been using FileMaker for 20 years and this software has supported our growth. It has allowed us, even for a small structure, to be able to organize and process the way we work. And then we were able to start developing our tool internally. This is one of the strengths of this tool: being able to directly express your need and put it into practice in the code, without the help of a service provider. The development value chain is greatly reduced since the people who express the need and the people who develop are the same! We're sure we don't have any misunderstandings! Of course some developments require the help of professionals, but we are much more comfortable in expressing the request since we know at least how it works under the hood! The problem with a development tool that can easily be handled by a non-developer is that several people can succeed each other on the code without really documenting it. It is so easy to add functionality, even for average users, that you have to make sure you have a minimum of centralization of information and when you have more time to deal with it, to outsource it. Our organization has a very specific functioning and the software on the market for this sector does not match. We were able to really integrate our own way of working. Other software would probably have met 60% of our needs, but it is precisely the remaining 40% that allows us to gain a competitive advantage over our competitors with FileMaker. Since FileMaker Go has been available, you can design an iPad mobile tool in a few clicks! This is great for our business presentations in particular. "Frequently Misunderstood; In a Class by Itself!" FileMaker is a perfect tool for an AGILE development workflow. As a long-time designer of workflow management software tools, over the years I've heard and seen arguments for more complex development solutions. In my experience these arguments are frequently made by those with a vested interest in longer and more cumbersome projects... and with FileMaker there is none of that expense. It is easy to move Sprint to Sprint with demonstrable results. It is easy to let ideas and tools evolve through development without becoming anchored to the original concept because one is so heavily invested in it. And it is cost-effective to develop powerful tools even for a smaller universe of Users. There does need to be native Android support, and a solid native synchronization tool would be lovely. More philosophically, though, an underlying problem that has haunted FileMaker for years is that it "gets no respect" from the IT community as a serious development tool. We place solutions in the field, and FileMaker has not helped itself with an architecture that places a fully operational copy of FileMaker on every desktop a FileMaker solution is deployed to. This can easily result in poorly written, poorly conceived "tools" being slapped together by people with no experience... and when the dust settles after a debacle, FileMaker gets banned from the Network. We would love to be able to distribute solutions without also distributing a powerful authoring tool to untrained users! Numeric ratings can be deceptive with a tool as powerul as this. A FileMaker implementation can be fast, light, and easy... or can take a team of Developers months to bring to market. It all depends on what problems you are trying to solve! For over 20 years I've used FileMaker to write tools to help workers track their tasks from an estimate to a work order to an invoice. Along the way I can't even guess how many unauthorized and inaccurate one-off spreadsheets we've been able to relegate to the recycle bin. Many of our clients have smaller distributions of Users... and by using FileMaker we can provide a purpose-built tool they could never afford to build with more traditional methods. "You have limits with Sage, go with FileMaker?" With FileMaker, you can control your costs. The same license allows you to use tools that we build for all our fields of activity! It is not necessary to pay a subscription for CRM, then another subscription for expense management software or another subscription for production planning software! Certainly, I will invest in the development of each of the tools (some of them can even be made by myself), but in use I only have to pay for one license. It is a tool that also follows our development: we start by making our own developments and then when we need to further improve the tool, we turn to professionals to support us! When using FileMaker on Mac, we have to keep up with the hectic pace of MacOS updates. A version of FileMaker 17 runs at least on a MacOS 10.12 that dates from September 2016... while it runs without problem on Windows versions before September 2016! There is no affordable and sufficiently customizable ERP to carry out all the company's operations for small structures like ours. With FileMaker, we can build each of our modules: CRM, production monitoring tool, reporting and then establish links between them. At the end, we find ourselves with a quasi-ERP covering almost all sectors of the company. "A tool to build bridges between our tools"
FileMaker has been in place for a long time in our structure. At the beginning, each of the group's companies had built its own solution. With FileMaker, we consolidated all the developments at group level, but also established links between the different modules we had built. As the software has been present in our structure for a long time, we have kept the interface of the time. It's a real strength that FileMaker can run old files from 10 years ago, it's a real stability for the tool (and it's even reassuring). On the other hand, it is important not to forget to update the interface! We sell very special products related to the world of industry and agriculture. Our estimates are complex. They were previously made in Excel and everyone built them a little bit like they wanted. Thanks to FileMaker, we were able to structure our standard specifications in a solution that allows everyone to apply the same method and operation. "Filemaker handles the heavy lifting and notifications keeping everyone informed." I like the ease of development to produce a simple yet effective application. Whether it is a stand alone application or systems wide integration, you can make a quick deploy-able user interface. There are times that you must create innovative ways to get things done that may not in the quick selections to drop and drag in the user interface. FileMaker allows development from the basic user to the most seasoned developer to deploy a stand alone or system wide application. Every test that we have thrown at the platform, it has performed. We currently use FileMaker to solve several issues from human resource information, daily schedules, reports, inventory, and a variety of other issues that come up. it is used to automate several process that are in place so they are reported accurately and not missed for their given time frame. The biggest benifit is that it frees up other individuals to do other tasks that have been either automated or inputted into the system. "Nice to work with and truly Cross Platform"
FileMaker makes it relatively easy to build relational database management systems once you get the hang of how it works. Once you learn the scripting language / script steps you realise even more the power of the platform and its proprietary database engine known as Draco. I would say it’s fun to code your FileMaker solution using the FileMaker script workspace, so it’s controversial in the FileMaker developer community to call FileMaker a low-code/no-code platform. In fact it’s more of a Rapid Application Development platform, and as FileMaker is a pretty unique piece of software that’s stood the test of time, this year has seen a move to re-defining its category to a unique one of ‘Workplace Innovation Platform’. Another thing I like is the ability for FileMaker to be integrated with other well known apps pretty well, in many different ways; once you get professional developers involved the possibilities seem limitless to what can be achieved. I also like the way that the same database can be used truly cross-platform between PC/Mac, iPad and iPhone and via web browsers. There’s not much that I dislike about the platform. I develop in it professionally, there’s just the odd buggy feature that I report back to FileMaker and then it’s usually improved in the next version. With FileMaker, you don’t need to know any complex programming languages such as PHP in order to build useful, performant relational database/business systems in fast and effective timelines which can increase business efficiencies by large amounts. I’ve assisted with building systems for wealth management companies to manage their business transactions and customer base on a platform that can be shared seamlessly across desktop, ipad, iphone and the web. The main realisation that I work with from clients is the programming of sophisticated tasks quickly, using FileMaker’s scripting language to perform repetitive tasks quickly and efficiently and to produce complex reports quickly. It's a rare product that is great for the beginner, excellent for the more experienced "shade-tree-mechanic", and can be downright amazing in the hands of an expert. It's fast to build in, has built-in search tools, and we've seen nothing else that lets you build such visually-stunning designs as easily. We've been able to build some killer systems in a fraction of the time required by competing products. The relationship graph could use some redesign, to simplify things even further. The performance over WAN has significantly improved but could use even more optimization. A few more native connections that would allow simpler integrations would also be welcome. Enormous ROI. Simply put, we're able to build applications in a fraction of the time vs. other platforms we work with. You can almost grab the duration and unit of measure of a traditional software project (i.e. 4 months) and HALF the duration and drop to the next LOWER unit of measure (2 weeks) for a FileMaker system. It allows you to motor through tasks that other platforms torture you with. "Powerful and flexible platform that has realized our dream"
FileMaker has allowed our company to fully realize our vision of a new standard of infection control and life safety survey tools. The platform has yet to not include the tools needed for us to do so. It has improved in its licensing over the year and with the latest release of 17 it feels that they have really reached their stride. Could not recommend enough for startups looking for a suite of tools that can produce quick and affordable development options for a wide array of applications. A lack of dedicated sync has been the largest issue for us. We had to use a third party plug in. We have been working to solve an issue of format and use case for infection control and interim life safety measures for hospitals and construction firms in healthcare. Specifically daily rounding in construction environments in healthcare facilities. Our solution is being used to replace a paper process for reporting and compliance. The FileMaker platform allows organizations to create their own custom software solutions that fit their needs exactly, faster and at far lower cost than anything else available. As your company innovates and grows, you can innovate your own software solution that exactly fits the counters of your evolving processes. That is something that pre-configured off the shelf technologies just can’t offer, while “cutting edge” “free” software can’t compete with the assurance that comes from a venerable company owned by Apple. You can connect to other platforms and web services, and share and collaborate with anyone on Windows, Macintosh, iOS devices, and to anyone with a web browser. Solving real-world business problems can require a lot of effort—understanding the problem, understanding the nuances of the current process and outlining the ideal process, then using the FileMaker platform to solve the problem in the most efficient way. Sometimes, this isn’t clearly communicated—there is no silver-bullet, and while FileMaker makes it possible to build applications that solve complex (and simple) problems more efficiently than anything else out there, expectations need to be properly set. Do some research—if your metrics are platform maturity, stability, flexibility, overall development costs, and long-term ownership costs, you’ll see that there is no direct competitor. We use the FileMaker platform to create solutions that do things like: Create personalized letters and emails that are sent out to thousands of customers with the click of a button; Create 100 page legal documents that require signatures throughout, signed on iPads, output as PDFs and stored in a central database; We put critical information in the hands of people in the field, all coming from a central server directly to their cell phone, with minimal programming; Inventory tracking, sales pipeline, customer relationship management—not the way someone else thinks you should be doing it, the way you need it to work in your organization. "FileMaker - the 'trinity' of easy use and agile development"
What makes FileMaker unique is the 'trinity' of presentation, input and output: You use each form and list to enter data and report to print. Equally unique is the presentation and jumping from and to reference data. In addition, in recent versions, web compatibility and almost unlimited scaling have come up. Even if FileMaker newcomers are quick to experience success, it soon needs a coach, which steers the development of the database in the right direction. Take a first step and look for support in forums, user groups or professional developers. Employees capture their services in FileMaker, and as CEO, at the end of a month, I can generate invoices for customers at the touch of a button, and let employees know about their personal payroll. And I can even add a field, a button or customize a script without letting the programmer 'fly in'. The benefit was to see first results after a short development time - that's agile development! "Quickly Bring Your Vision to Reality; Adapt and Improve as You Grow!" FileMaker is a whole platform for creating custom software to solve real business problems. One person can quickly build something to efficiently manage a task or process and add to it as they learn. FileMaker has powerful tools to build robust solutions for whole workgroups and organizations. It can be a data hub linking disparate systems, data sources, and services. FileMaker has maintained a remarkable balance between no/low code and advanced development resources. At both ends of this range users/developers can feel overwhelmed or constrained. Thankfully, there are ample resources online and among the developer community to help both. Its ease of use, wide range of capabilities, desktop to mobile to web deployment, abundant learning resources and developer community, FileMaker is a unique platform for solving real business problems well under the time and cost of other platforms. FileMaker gave me accessible tools to solve a difficult business problem many years ago and, as I learned the platform over time, I extended my app's features and access to others. At my next job I created a much larger solution with the help of an outside consultant. It revolutionized our business and allowed us to focus on the business, not the software. "Great Platform for First-Time and Long-Time Programmers"
The ease with which you can start a new project and get it to a point where it's a usable solution and in the hands of end-users makes FileMaker an ideal platform for getting things up and running quickly and efficiently. This is also true for people with limited programming knowledge, which makes it a great platform for people who aren't going to make a career out of it. With that said, FileMaker also provides a set of tools that advanced programmers can leverage to build more sophisticated solutions to solve complex problems. I'm particularly keen on the ability to integrate other, web-based solutions such as Shopify and Mailchimp to unify business operations. We've developed a full-fledged business management solution (accounting, customer relationship management, enterprise resource planning) that's built in FileMaker and therefore allows us to customize the software easily and affordably for a wide range of clients. Rather than pinpoint specific problems and benefits, our clients come to us because there isn't an off-the-shelf solution that meets their needs--let's be honest, there isn't an off-the-shelf solution that meets any specific business' needs perfectly. Not only does FileMaker allow us to give them that perfect fit, but they start seeing a return on their investment much sooner than they otherwise would. "FileMaker is the backbone of the custom designed system that is at the core of our business!" FileMaker has proven year after year that it is flexible and can scale as high as our business desires to grow. We have been able to find a way to use FileMaker to make our system do everything that has come our way in our industry and already have projects under way to offer even more to our staff. The sky's the limit! As with all software, new versions include fixes and new features, but it does get tiresome to be told that we have to wait for X version to fix a problem. It always seems that the solution to a problem is going to be in the next version and then the next version, and so on. FileMaker needs to support Android natively. As we move forward with multiple mobile solutions, we need to support all mobile platforms, not just Apple products. If you are developing on your own, you probably already know to try it first. If you aren't a developer, find a good FileMaker development company or consultant. Make sure they are the right fit for you and not only listen to you, but offer you realistic solutions, growth options, future features, and more. It is nice to dream of all the wonderful things you can do, but you need to remain grounded and FileMaker will eventually get you where you want to be with the right developer on your side! Our custom designed system plays a role in every department in our firm. FileMaker is vital to the daily processing of everything we do, from start to finish. "FileMaker is a True Leader in Database Management Innovation"
Not only can FileMaker make incredibly complex database solutions, it can make truly beautiful and intuitive designs that can make it easy for any type of user to quickly jump into a new system and learn how to use it without much of a learning curve. Both when developing the app and when simply using the developed app, users will be astounded by how easy it is to pick up and go. While FileMaker can integrate with just about any third party system, there are some solutions that are not native to FileMaker that would be nice to have right out of the box. Some features such as creating separate PDFs and appending them to one another seems like something that one would be able to do out of the box, but requires a separate product to do easily. Get started right away and start digging around. You will be very surprised how easy it is to learn and implement virtually any solution you can think of. FileMaker can make it easy for your average employee to be able to handle very complex calculations with just a bit of data entry and a couple clicks of a button. By automating processes and eliminating double data entry, FileMaker provides value to any business who need to train all levels of employees to use otherwise complicated software. Whether connecting and syncing with Quickbooks for money management or connecting with Outlook to create a scheduler for employees, FileMaker can solve just about any problem. "Would be lost without it"
It is an incredibly easy to change things in FileMaker. We can correct things while the system is live while user are doing there every day tasks. We can create a new report or redesigning system functionality without stopping the system or deploy new code. The search functionality of FileMaker is awesome. I simply use the same form for both data entry and searches. I can easily combine my search criteria with a date range, and then filter the result to get what I want. There is a big ecosystem of external tools and drivers that adds even more functionality in the tool if you are missing anything in the native application. We use a number of plug-ins to for things. To wrap it all up, the FileMaker application is an excellent tool to implement our business rules and it gives us all the support we need to improve our business. We have used it a lot during many years and is difficult to think of things that are negative about it. The things that are weak are the chart functionality. We prefer to create charts with plug-ins or in Excel with pivot tables. To all those that use Excel and use filtering lines. Just don't do it. Try this tool instead. You will be amazed. We create financial report. We register time put inte projects. We manage out staff. All list with application of vacation. We do the invoicing. We have our customer feedback in the database. The company is basically working with FIleMaker as the every day tool to use. "Radically changed how I manage my business"
I've been using FileMaker since 2003, and with each new software release, there is something that makes my mind explode with new ideas. They never cease to amaze me with how they are advancing and keeping up with all of the software trends. It allows my business to operate with minimal expense and maintain a high margin. As I said, with each new release, there's something that makes my mind explode. My complaint is that there's not enough time in a day to implement all of these new features and fully utilize FileMaker's potential. I guess that's a dislike if you want to call it that. FileMaker has always listened to their users and where their industry is heading. I trust that they will continue that in years to come. This year we'll be making several changes to how our solution helps manage our marketing efforts. We'll also be working towards making it much more iPad friendly in regards to sizing and ease of use with a touch screen. "We have revolutionized our business processes with FileMaker Inc."
Working closely with a business partner of FileMakers we were able to turn an entire business that ran on antiquated paper processes and start collecting information digitally on iPad pros straight on the production lines! I am constantly surprised by the short amount of time that was needed to transition from our paper processes to a fully functioning FileMaker solution. Sometimes just the sheer number of possibilities with FileMaker and it's many features makes it easy to lose track of the problem we are trying to solve and instead dream about the future enhancements. Luckily there are a lot of professional consultants that FileMaker has suggested to help keep things on track. Save money, switch from old processes and start doing everything digital! We track production on the lines with iPads mounted directly to the processing equipment, allowing us to capture data from the operator as they produce goods. We have revolutionized the way we provide quality data to our senior management team as well as our customers. "FileMaker is the hub of our business and the foundation of our entire ecosystem"
With FileMaker, we're able to scale our business quickly - adding new modules or changing existing ones at a pace exceeding other platforms we've tried. There is a lot of leverage in the product because you have at your fingertips a robust feature set that is both easy to get started with and yet expandable to high levels of sophisticated integration. With FileMaker, we get so much out of the box that it allows us to invest our time on custom automation instead of spending our time building all the foundational aspects generally required with other platforms. I can safely say that without FileMaker as the hub of our infrastructure, we'd need an additional 50% staff to run our business. Making changes in FileMaker is generally easy to do, and I would like to see continued improvements and features down the road to have more customized, automated deployment/update options for our vertical market solution offerings. If you're looking for a robust yet flexible platform that has a rich history of success behind it, a worldwide customer base, a mature developer ecosystem, and a foundation built on the success and longevity of Apple, look no further. We've seen software companies come and go over our 22-year history but FileMaker has been there since day one for us and will likely be there for the life of the business years from now. FileMaker is the foundation platform for our entire business and integrates with our accounting department (Intuit/QuickBooks) as well. We also have custom connections with Office 365 account and it natively supports all our hardware including Windows, Mac, and iOS doing everything from managing customers, our software product line, website shopping cart deployment and even specialty aspects of the business you don't often think about at first such as employee reviews, customer testimonials and our cloud hosting management dashboard to name a few. "Solve real-world business problems quickly"
- Ability to solve business issues quickly. - Bespoke developments allows the software to be adapted to the business, not the other way around. - Strong data import functions to help transition from other systems or spreadsheets. - Powerful and intuitive development tools. - You can create almost anything required for an organisations needs. - Good platform coverage (desktop, phone, tablet, browser). - Integration with OAuth providers (Google, Amazon, Azure). - Ability to create bespoke connections 3rd party solutions via APIs (Xero, Vend etc.). - Missing some specific advanced development niceties which are available in lower-level programming languages (which is the trade off for being able to develop rapidly). - No native Android app (but works via browser). Use the free trial especially if you are developing your solution in-house to ensure you have the time and skill required to do it yourself. If you do not, get in contact with some FileMaker consultants to help work either with or for you. If you are developing yourself, check out the FileMaker community forums and websites to answer specific development questions and generally help get the solution built. We are able to systemise almost all of our repetitive administration tasks allowing us to focus on actually doing the work. Business decision making is easier with bespoke dashboards and reporting. Users can see what they need and can easily find what they are looking for with powerful searching reducing more admin time. "My company's software the way I want it!" FileMaker allows me to fit my apps to my business, not the other way around. Plus, I can make those apps available on Windows, Mobile Devices and the web without having to recode for each. The amount of time we’ve saved building apps in FileMaker can’t be matched by any other platform. However, when we do want to make use of third party tools like MailChimp, RingCentral and others FileMaker has its own Data API that enables connection to those services. I wish it were easier to integrate with other platforms via FileMaker's Data API but we’ve leveraged the expertise of FileMaker's Platinum Partner community to help out in a pinch when our internal brainpower is challenged or best used elsewhere. Before using a single platform for our management we were losing data due to having to rekey information between apps and never sure which "version" of our data was the most recent ... "Who has the latest contact sheet for March?" was a commonly overhead statement in the office. Also, we previously spent an exorbitant amount of money building a system to allow our third party partners to access portions of our internal systems. We leveraged FileMaker Web Direct to make that possible in a much more cost effective manner. The best features of the filemaker platform are it's speed and flexibility to pretty much integrate with any other system, bridging the gap between however many existing fragmented systems a business may have. Whether you are prototyping, automating, changing, or establishing new processes within a business (big or small), the pace and cost of development is unrivalled. There's not many things to dislike. If i was to be picky and to put my developers hat on, it would be nice to have built in version control, however filemaker release new versions of their software every year, and the development community has a huge influence on features which are added. We have delivered projects for range of clients from single user systems to multinational corporations which have achieved significant ROI every single time. "The best platform ever to work with, to develop apps in business, government or non profit sectors"
It's a very well designed development tool to build, integrate and deploy robust, modern and secure IT solutions leveraging databases, with an excelent cost benefit ratio. FileMaker runs a forward thinking process to detect what a developer, or a solution might need in advance and put it in place. The quality of their platform products, makes it very reliable and cost efective. Once you get an intermediate/advanced level, you can reduce drastically the ampunt of time spent to finish a complete job. It's amazing. The recent price increase was not of my predilection, but I understand that FileMaker was trying to promote the use of FileMaker Server. But for former FileMaker Pro users, migrating to Pro Advanced product meant a significant price increase. Also, I think FileMaker is trying to promote the full usage of their available functionality in all their customer base. FileMaker Platform is a huge productivity tool. If you find business opportunities related to lack of efficacy, lack of efficiency, lack of flexibility, lack of control, customer insatisfaction, participants that operate desintegrated with their processes, where a big volume of data is related, or where the time consumed to finish to perform several tasks, or where a lot of resources are in place to do a job.are very good examples of business problems that will benefit immediately from usinf FilemMaker based solutions. "An app that works the way your work"
As a user of this system the flexibility, versatility and cross platform accessibility of the solution are the reasons FileMaker is the solution we use in our facilities. Because of the ease of use and ability to get our processes on iPad and mobile devices added another level to the reason this product is best in class for our business solutions. My only recommendation from a user standpoint would be easier access to ad hoc reports. The sky is the limit on what you can do and how this product can make your job easier. I would recommend that they not think too small but to really look at the processes and how they want to change their workflow and Filemaker will be able to make it happen. Where to start? We have implemented FileMaker into every facet of our manufacturing process from shipping, receiving, production planning, customer service, sales, pricing, production floor start to finish, quality, compliance, etc. "Most under-rated custom development tool out there." FileMaker makes it easy to build your own custom app that can run on Mac, Windows, and iOS. The tools make it easy to build simple or complex programs for workgroups. It also integrates well with other technologies. We are using it with WordPress web sites, email services, iPhone and iPad, external SQL databases, QuickBooks, AccountEdge, Basecamp, Slack, Twilio, and more. If it has an API, we can make FileMaker talk to it. There are plenty of "little things" that could be improved, but compared to everything you do get "for free" with this platform, it's not worth dwelling on. Some complain about the pricing, but again, for what you get, it is a great value compared to other platforms. You can play around and roll your own, or if your needs are more complex, you can hire a certified FileMaker developer. FileMaker provides several "starter solutions" to get your feet wet, and they offer training and a certification program. Our business runs on FileMaker, and we build custom solutions for many small and medium businesses as well as workgroups within large corporations. We support installations in several industries including non-profits, manufacturing, medical, marketing, printing/publishing, financial, technology, etc. "Great Platform for Custom Business Applications"
While I love the WYSIWYG designer for building views and screens, I would love the option to use a text editor to write scripts and custom logic. "A truly sustainable innovation platform for any business ..."
There are not many platforms you can trust your business productivity to which boast a 20+ year longevity and still have a relevant set of features, yet FileMaker is exactly that. Its a huge commitment to place your business processes into any platform, your internal efficiency, outward appearance and customer response times all depend on the tool which manages your business and we have been able to trust FileMaker for over 20 years as the platform to manage our business. Having a tool which makes innovating a complete new department in the business as simple as tweaking an existing process has kept our business alive, able to morph with changing technologies and kept the time spent looking inwards at our own software to a minimum. As a software engineering firm we know only too well how much times businesses spend on software projects, often without conclusion or any kind of result. 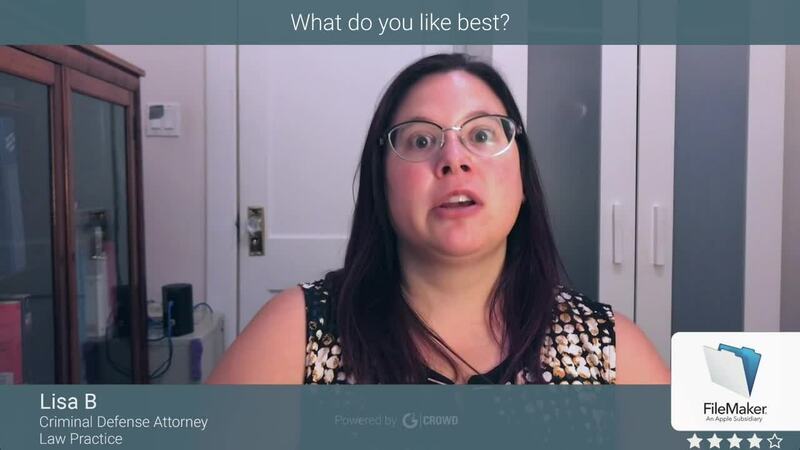 FileMaker makes a mockery of these stereotypes giving you results with each session you sit down to work on your system and getting you back to your business faster than any other platform we've tried. In over 20 years of FileMaker systems we have never lost data, never had to re-write a system to cope with a product update, and never had to deal with some crazy-code an ex-employee wrote and wonder how to change it. The systems we built 10 years ago work as well as the ones we built this quarter and all of them have harnessed the power of the platform as it improved with features like sign-in with Office 365 and mobile-access. If you really want to run your business and not waste time on your own system - there is really no other choice! It would be great to have a Linux version of the server (although I appreciate the server is available on Amazon AWS). 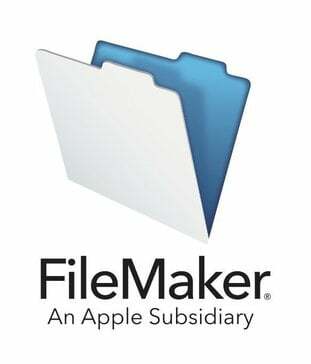 The plug-in market for FileMaker is mind-blowing but it would be great to have some of the features offered as a plug-in (like database comparison) as an internal tool in FileMaker. FileMaker has allowed us to encapsulate our business processes into a lean internal system which everyone in the business can use. We can hire new recruits and have them familiarised with our processes simply by sitting them in front of the system and our customers get a smooth, consistent response where they are dealing with someone who has joined yesterday or someone who has been with us since the start. Every time we are challenged by a time-consuming business process, we have found a way to automate it or improve it with FileMaker. After over 20 years in business I doubt we would be here still without it. "An app that makes your work easier"
FileMaker is known as an INTUITIVE and FUNCTIONAL tool. Whether you are a professional or not, it is very easy to create applications that perfectly meet our needs and our working methods. The flexibility of FileMaker allows us to fully adapt our application to the graphic charter of our company. Today we have a CRM, tailored to our image and perfectly meeting our daily needs. We have been using FileMaker for more than 20 years, we appreciate the evolution of their tools, allowing us to always be at the cutting edge of the latest technology. We regret that there is no application for Android. We created an ERP under FileMaker that manages all of our business. Our base allows us to automate and facilitate our business process. We greatly reduce our paper-based processing. It also allows us to perform complete statistics and thus fully control our business (current business grid, sales and margins with changes over several years, exports accounting files ...). One of the strengths of FileMaker is having access to our ERP from anywhere and anytime. This is extremely valuable for our sales representatives and the rest of our teams. "The ideal tool for a Hackathon"
Last weekend I took part in the Make-A-Wish Hackathon. While everyone else was slaving away on their Power Point or wire-frames for the Sunday presentation I was able to create a fully functioning app called WishWalker. Why? Because FileMaker is such an incredibly powerful tool for rapid app development. I almost felt bad for the other competitors bogged down with yesteryear's technology. Because FM is so easy to learn I wanted the other team members to also have access to the live code as it was being developed. Unfortunately this was not possible without them having a copy on their computers but they were able to at least see the product as it took shape by accessing it through the free FM Go app on their iPhone. You can see the solution from any major web browser at https://cloud1.nextpitch.net/fmi/webd/WishWalker. Click on the Guest access at the login screen. If you want to get great results quickly, easily and affordably when it comes to solution development there simply isn't a better database out there. Admittedly I'm biased to the extent that I have already used it for many years and have become very sufficient at it but it's because it is such an incredibly empowering tool that I highly recommend it especially for any aspiring entrepreneurs that I meet. I'm a serial entrepreneur (iapprentice.com) and have used FileMaker to run all of my companies since Europa Watch. There we developed a comprehensive office automation solution with it called Trilogy which became the basis of a new company called Logistiques. Trilogy combined Contact Management, Order Management, Correspondence, Scheduling, Products, Inventory and Forms in a integrated solution. (http://www.iapprentice.com/profiles/Logistiques.html). "Unbeatable for rapid reliable software development – perfect for innovative businesses." Gets on with the job — if you want to be able to build business software quickly and reliably this is *the platform*. It has fantastic cross platform support too: server can be on premise or in the cloud, and users can be on web, iOS, Windows and macOS. Got to be the fastest way to build an iOS app. I chose to develop with FileMaker when looking at all options — after working with much more powerful programming languages I was blown away by how reliably and quickly I could create applications. Never looked back. Would love to be able have more dynamic control of interfaces — complex calendars, transitions and resizable objects would help make for more modern feeling apps. Behind the scenes database transactions and journalling would help with compliance and standards expected in bigger enterprises and organisations. Lack of app for Android, though webdirect works well there. In our business, FileMaker is used for a huge variety of things from time and hours tracking, resource planning, Sales and CRM functions, invoicing and integration with Xero, asset register, software licensing... we also use it to provide high level reporting on business performance (BI if you like). "FileMaker is a powerful platform for rapidly building custom applications"
Build custom applications at a reasonable cost for competitive advantage. High ROI (Return on Investment) and low TCO (Total Cost of Ownership) compared to other applications. A powerful toolbox/platform backed by the #1 company in the world (Apple, Inc.) Integrates with many other applications. Empowers the user. Cross platform...build once and deploy on Mac OS, Windows, iOS or the web, Scalable from 1 user to hundreds. Large and diverse customer base. Focus on mobile iPad/iPhone development. FileMaker is rising in popularity and in the top 16 databases in the world. It connects automatically via ESS (External SQL Sources) to the top three databases (MySQL, Oracle, and MS SQL Server). As with all software there is room for improvement...and FileMaker continues to invest heavily in R&D to improve the product with each new release. If you're running an old version of FileMaker, update to the latest release. It has changed tremendously over the years. Multiple business problems across many industries. FileMaker is a general toolset for building any kind of software. "Flexibility makes FileMaker the key to success"
Unlike all other tools we've been using, FileMaker makes it easy to manage exceptions, one off requests or ad hoc analysis. Do you suddenly feel the need to compare some data in a way that you had never thought about? In a minute you're there. With FileMaker anyone can build a robust-but-flexible information system, which is immediately available on Mac/Windows/iOS and the web. I've been working with FileMaker for more than 15 years, but its flexibility keeps puzzling me. Also something important to mention: FileMaker reveals a state of mind. In our business we have relationships with many other businesses, and every time I meet a client or a provider that also uses FileMaker, I can be sure he's the 'smart guy'. The one that is solution oriented. Someone who won't let the system beat him. Seriously, it's a bit odd to say, but do the test: among the entrepreneurs that you find successful or interesting, how many use FileMaker? I'm sure there's a lot. If there was something to dislike about FileMaker, I'd mention the way the server is managed. If you have multiple servers, you will feel the need for better monitoring/administration tools than what's provided. And it's still a pain to upgrade FileMaker Server when there's a new release. Not a big pain though…in 10 minutes or so you're done. FIleMaker helps us managing our customers, invoices, leads. We integrated it with our ticketing system (Freshdesk), our communication tools (Ring Central, Skype), and most of all with Tableau Software, our BI tool. They all work seamlessly together, but FileMaker is at the core. "Our Business Scaled Up Because of FileMaker"
Whatever we dream up, we can make happen. We literally go from whiteboard or cocktail napkin to our users' hands in minutes. We are constantly able to wow our clients with speed of delivery, quality of reporting, and display of data. It doesn't LOOK like anyone else's system (salesforce, zoho, etc) and bespoke is always better. It's easy to use, easy to train on, and always makes us look good. You can look for all of these low code options, but you can't really CREATE. With FileMaker, you can connect to big data, design creatively, and build on a bullet proof data engine. It's such a winner...if you want to scale, this is something you have to consider. We turned our small business into a powerhouse by utilizing data, business processes, and the ability to innovate on the fly. Without a doubt, there is no way we'd be in the position we are now without FileMaker. Frankly, our company essentially owns our category because we can innovate at a rapid pace. The FileMaker Platform is the most flexible platform in that in a single application I can deploy a solution to desktop, web and mobile with ease. FileMaker has shown with all of the latest updates that they are committed to the platform and it's users by the incredible features they keep releasing. The Data API and JSON functions keep getting better and make it easier to integrate to other API's to simplify and extend applications. I would like to see a means to do versioning, more api tools like horizontal scrolling portals and/or a grid tool. More meta data around fields for labels vs actual field names. Buy it. If you have any application that you need to connect to multiple sources or just need a way to simplify a workflow, start small and just build it. The time and cost savings in the end will justify it. There is such a large community of professional developers, it is very easy to get great help. FileMaker is the most flexible platform when building an application. It is the fastest way to develop and deploy and applications to a team. The ability to connect to multiple data sources as well as being able to natively connect to the many API's available for applications Quickbooks, MailChimp, and others, allow us to build applications that a team can work in without having to bounce around in their various applications and can stay focused, saving them time and money. FileMaker has truly proven a tool that has saved our clients money. "FileMaker for you, for your company, for a lifetime"
Whether you are just just some guy/gal who gets FileMaker in their hands for the first time, or a fully-blown qualified + certified software developer in a large development team, FileMaker has something for you and can accompany you to achieve - or even redefine - your goals. I have grown up with FileMaker and FileMaker has grown with me. FileMaker has made this possible by continually innovating, re-finding and reinventing itself, by repeatedly making the complex simple and the hard-to-do easy, while constantly bringing modern technologies to its toolbox and, above all, continually extending the horizons of what you can achieve with FileMaker. The FileMaker community is a very open and giving community. The FileMaker Community website provides the community a home, and there you will be able to find answers to your questions - or give help to us all. The (IT-) world is a fast moving place. Sometimes it moves faster than FileMaker Inc. can respond and you may find yourself holding out for the feature of your dreams to come along. Fortunately, there is nearly always a workaround you can live with until that time comes, and FileMaker makes up for this by developing the platform innovatively yet coherently. The strength of FileMaker is that anyone can start creating an app or database with ease. The drawback of FileMaker is that anyone can start creating an app or database with ease. Be prepared to be surprised how easy and how different it is. Don't expect it to be like (other) programming languages. Accept that it is the way it is. There are many stones on the path to creating apps "the FileMaker way", learn from the materials and the community, and you shall stumble but not fall. If you are needing to grow or thinking of growing your solution over time, learn up on scalability. There are very many ways to solve simple problems, but only a small proportion of them scale to larger data sets or larger user bases. My main aim at mrwatson.de is to provide tools to (myself and) fellow FileMaker developers, to make our lives easier, to make our work with FileMaker more productive, more efficient and above all more enjoyable. fmWorkMate is a free toolbox (runtime solution) for FileMaker developers, which helps developers in their daily FileMaker development tasks, helps developers find - or completely avoid - bugs + improve the quality of their FileMaker solutions. It transforms your FileMaker work and - sometimes - makes the impossible possible. Being a full time FileMaker developer for Günther Business Solutions GmbH I develop these tools in my spare time. ""Fiemaker is the innovation platform that fits to any workflow buisness needs""
- The agility to bring value to our customers and users in really short sprints. - If you don't want silos, the last filemaker API makes possible the integration with any other services. - If you belive in customer centric culture, there is no other platforrm that allows you to engage your user bringing them value in shortime terms. "It empowers me to create"
Filemaker is an excellent platform with standard database concepts where I can create business solutions for any task. These solutions run on windows/mac/iOS and can extend to the web. Filemaker supplies other technologies for communicating so it always gives me a way to accomplish my goal. Resources are available so a developer can grow their ability. Changes to the licensing and complexity. However, it appears Filemaker is doing this to keep up with the changing software environment. Custom software exposes your business security far less than popular applications. Filemaker lets management decide on security/exposure issues. Popular applications let the end user decide on security/exposure issues. We develop several custom apps for cloud solutions with Filemaker. These apps are in construction and manufacturing. We manage jobs, schedules, employees, labor, invoicing, and more. These apps have increased efficiency for our clients in multiple areas. We also use Filemaker for most of our internal needs. CRM, subscription tracking, automatic billings, project management. "Makes my working life easier"
FileMaker delivers full working updates like clockwork, and keep being ready for the changes in the sounding IT world. The constant flow of new tools and options are crucial for my business. The change of the license structure recently, where it was changed to a "platform approach", is fantastic, and gives us so many new options. Server is not offered in a Linux. And a Android version is greatly missed. I feel that the product now is more like a SMB and upwards tool, covering most of our needs. Of course we still use online services (non FileMaker) as well. So we take the best from both worlds. I use FileMaker for all custom App needs we have, as well as our SaaS needs (with a few exceptions where we use readymade services). Especially after the new migration tools are available. The data api have basically given us the big toolbox we need to “talk” the the rest of the world. I like how FileMaker is flexible so that I can deploy an app on desktop, mobile or web using shared code. I also like the ability to host databases on my own server so that I can have have excellent LAN performance as well as access to my database files. I would like to see more code portability between apps. It would also be great to be able to have alternate names for fields (ex: field labels) to speed up UI creation. Start with a small project or task and see how it works. The ability to modify on the fly with little effort is definitely a time saver over traditional development environments. We have looked at using alternate solutions to FileMaker for internal CRM, support, billing and other systems but the ability to connect disseparate datasources from FileMaker and MySQL together is truly a winner. We also like that power users can easily modify the app thru functionality tweaks without needing to engage development resources. "An app platform for your business method "
The FileMaker (FM) platform is the only no-code, low-code or pro-code platform with continues support over 30 years. While other CMS (think salesforce etc) can touch on some aspect of FM, these CMS forces a company to adapt the CMS work flow. FM adapt to your work flow, making your bussiness unique to the bussiness next door. As for CMS like app: With FM API and its ability to exchange data with other API, FM is uniquely positions to be the core app for your bussiness. For example with FM we take orders on-line , interface with PayPal, enter data to QuickBooks, notifying the companies users calendars about changes, and texting and emailing customers. Of course FM produces PDF, excel and print reports with a click. But why stop there? It is entirely possible to capture data live from a production process and control the next step in the process. Management can monitor the order production live and get notified when things go wrong. Filemaker offers a lot of value with each license. It is challenging for new companies to envision how valuable these licenses are. We we get called in to automate one part of the information flow, we quickly see that other aspects of the bussiness get automated once the company is committed to the FM platform. One app, becomes two apps, becomes a departmental app... finally one app for management to rule them all. Having worked with so many (new and hot) product (including open source) over the years, take in consideration that FileMaker is owned by Apple and has been around for 20 years. As you are going to invest in your own business, you will need that security that the company is going to be around for a while. We solve issues as information flow, approval processes, documentation archiving, invoicing, contact management, notifications, group texts and text exchanges with individual customers, payments, quickbooks entries, shipping labels, form printing, PDF books and of course reporting. The unique value is the low code to pro code environment. No other platform can as quick develop an app for a medium and even a small bussiness and continue to adapt for future bussiness and security needs. "Custom fit to meet your needs"
The ability to customize FileMaker to fit business needs without investing in someone else's logic. FileMaker puts control back into the hands of the business owner, at a time when we are all subject to big tech and the assumed needs of their user base. Every business is unique and requires software to help them better manage their operations as a whole. Having centralized and reliable data is a requirement in the digital age, something FileMaker has been providing without fail for years. The native FileMaker tools for hosting and collaboration have made major strides in the last couple of years. Excited for the continued growth and accessibility of the platform. The process of developing custom software involves assessing current business operations in a way that rarely takes place. That process can help you better identify your needs and determine what platform make sense from a value and benefit standpoint. The reason you would want to select FileMaker is their seniority in the custom software industry, the usability and reliability of the platform, and the vast number of people to collarbone on the customization component, including the ever-powerful FileMaker community. Whether it's managing the quote to cash process, handing complex inventory and resource types, or balancing budget and financials, we use FileMaker to support all area's of business across a diverse range of industry. We find most of our clients are not well served by "off the shelf" solution. Automating administrative and operations functionality has resulted in cost savings and increase revenue growth by the nature of designing, developing and implementing robust solutions for our client's needs. The continuous development from desktop to iOS for many years is great. With every new programming you get even more desire to solve problems. You can quickly see what you have created. No matter if Mac, Windows or iOS the platform is very powerful. FileMaker helps with its functions to keep the quality of the application always optimal. There is a great community where plugins or training videos are available. There are user meetings and forums as well as tools to optimize code. FileMaker is great for beginners and professionals who want to get there quickly. Some new graphic elements would help with the layout design, but here you can build your own objects, which you can then reuse. Try it out. Use the training videos on the Internet. Use the community / forums. I have developed a sophisticated ERP system with it. Many manual processes have been eliminated. The users can concentrate more on real tasks. Word/Excel workarounds are no longer necessary when working with FileMaker. Many young developers learn with FileMaker to concentrate on the tasks of the customers (not the IT). FileMaker provides incredible ROI for building rapid custom applications for the back office and mobile. In addition, allows you to integrate your custom FileMaker application with just about anything very well. We commonly extend the application to the web using the FileMaker Data API which is not RAD (rapid application development) but very powerful. Most people first think to you the WebDirect technology which is WYSIWIG publishing of layouts to web pages (very nice feature) but can be incredibly expensive for anonymous users and takes more hardware to deploy to a high peak user count while offering less customization ability since the code is automatically generated. If you are considering building a custom application for your company or to manage your back office better then you definitely need to give serious consideration to using FileMaker. The product has been around for over 30+ years and is stable with annual FileMaker Developer Conferences that have over 1,200 attendees each year. A strong and vibrant community of developers and consultants can help you build the application or train or you can have your internal team learn the platform quickly working with online resources or local trainers / consultants..
We build custom apps for customers using FileMaker and of course have built out our back office using FileMaker to manage and automate tasks. Every organization is unique and, in turn, needs a workplace innovation application to support its unique processes. Too often, we come across organizations that are using off-the-shelf software that forces them to adjust their workflow to fit the program’s one-size-fits-all system design. Other times, we see businesses using a combination of spreadsheets, email, paper files and accounting software that causes redundancies and a lack of transparency making it difficult to manage as the organization grows. With FileMaker you can innovate and automate most tasks incredibly well. Learn more about FileMaker, Inc.
* We monitor all FileMaker, Inc. reviews to prevent fraudulent reviews and keep review quality high. We do not post reviews by company employees or direct competitors. Validated reviews require the user to submit a screenshot of the product containing their user ID, in order to verify a user is an actual user of the product. Hi there! Are you looking to implement a solution like FileMaker, Inc.?